To reflect our palates, the portfolio at Skylark includes crisp, flavorful, aromatic white wines and full-bodied, rich, spicy red wines. As we have long admired the beautiful white wines produced in Alsace and Austria, our Pinot Blanc is a California rendition of a classic European varietal. While we continuously explore the fertile California landscape for red wine vineyards that excite us, our current releases are native to the Rhone Valley in France. Our single vineyard Syrahs are inspired by the Northern Rhone wines of Cote Rotie and Hermitage. Our Grenache is reflective of the great wines produced in the south of France in tiny villages such as Chateauneuf-du-Pape. We love the style of these wines and have discovered vineyards in Northern California that allow these varietals to truly shine. 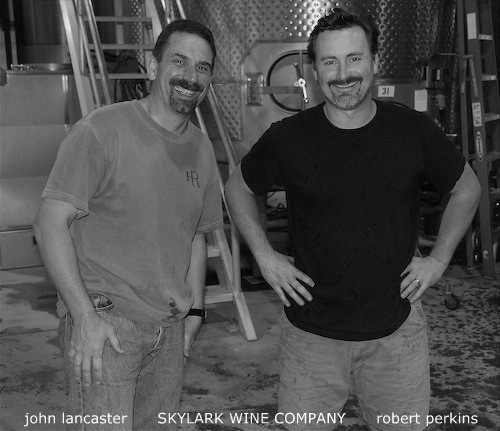 Co-proprietor of Skylark Wine Company, is a graduate of Washington State University in Pullman, Washington. His passion for wine grew while working in the restaurant industry and brought him to the culinary destination of San Francisco. As the Wine Director of the wildly eclectic Cypress Club, he was recognized by the Wine Spectator for his wine list. For the past eleven years, John has been the Wine Director at the James Beard award winning Boulevard Restaurant. During his tenure at Boulevard, John has traveled extensively throughout the world’s wine regions studying wine production. In addition to his professional duties at Boulevard, John is also a professional wine judge and consultant. John resides in San Rafael with his wife and two daughters. Co-proprietor of Skylark Wine Company, is a graduate of Fine Art Painting from the San Francisco Art Institute. His paintings have been shown throughout the Bay Area: San Francisco Museum of Modern Art-Artist Gallery, Canessa Gallery and Mesh Gallery. His designs are featured on every Skylark Wine label. When Robert is not in his studio in San Francisco, he is pursuing his other creative outlet, wine. 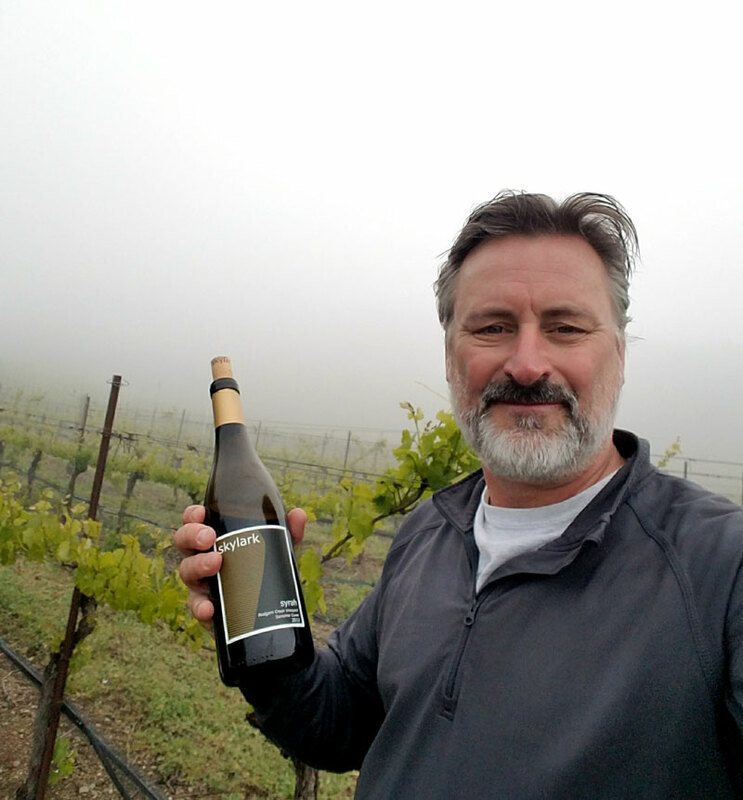 Robert has worked in the restaurant industry for 20 years and has worked at Greens in San Francisco, Willowside Café in Sonoma and at Boulevard Restaurant as a sommelier for the past nine years. With his expertise in the wine industry, Robert has been a wine consultant for several Bay Area restaurants. He has also worked hands-on in production at several small wineries including Nalle, Scherrer and Sean Thackrey. He resides in San Francisco with his wife Kristine.